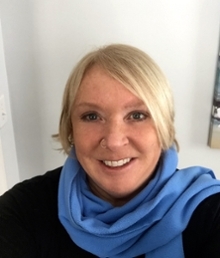 Dr. Carolyn M. Thorne, PhD (Assistant Professor, University of Prince Edward Island) is the academic lead for the Master of Leadership and Learning inclusive education stream and is the practicum advisor lead for the BEd program. Her doctoral research out of the University of South Australia examined the construction of the child with challenging behaviour as a subject produced in the various discourses of education, medicine, psychology and justice and critically analyzed practices and programs that have aimed to manage this problematic subject. In March 2019 Carolyn will be involved in facilitating workshops on classroom management, inclusive school practices, and conducting research on the Safe and Inclusive Schools project in Kenya supported by Farmers Helping Farmers, PEI. Before moving into higher education, Carolyn worked as a counselling consultant with the Public Schools Branch for 20 years where she provided coordination and consultative services to principals, resource/inclusive education teachers, school counsellors, and classroom teachers who provide services to students with emotional, social, and behavioural needs. She has, and continues to facilitate a wide variety of professional development workshops for various audiences and continues to provide counselling services to children, youth and their parents.